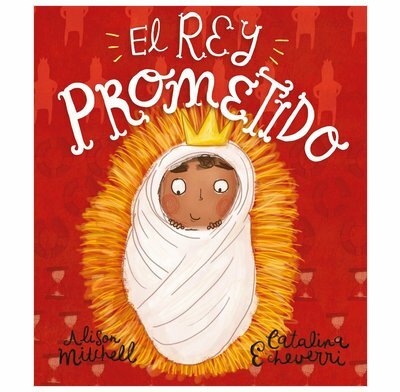 A captivating retelling of the Christmas story showing how God kept His promise to send a new King, with superb illustrations by Catalina Echeverri. A captivating retelling of the Christmas story showing how God kept His promise to send a new King. Superb illustrations by Catalina Echeverri and faithful, Bible-centred story-telling by Alison Mitchell combine to make this a book that both parents and children will love. A long, long time ago – so long that it’s hard to imagine – God promised a new King. He wasn’t any ordinary king, like the ones we see on tv or in books. He would be different. He would be a new King; a rescuing King; a forever King! This book helps pre-school children discover exactly how God kept His Christmas Promise.